I'm used to looking up to people who are twenty years or so older than me, so it was a bit strange when I found out that one of my inspirations, leading New Zealand landscape designer Xanthe White, is only twenty-nine. 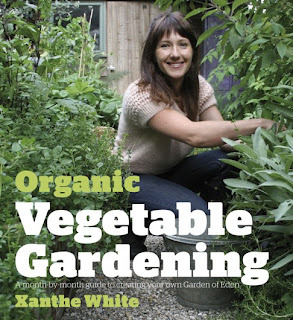 In September last year Xanthe released her first book, Organic Vegetable Gardening - A month-by-month guide to creating your own Garden of Eden. In it, Xanthe documents her year in a garden she built from scratch, taking readers through gardening tasks by month. My sister gave me this book for Christmas, and I'm so grateful; Something about it really struck a chord with me. It may have been all the photos, many of which included Xanthe (looking a lot more stylish than I ever do in the garden) and her cute two-year-old son, or it may have been her wonderful, down-to-earth writing style, or it may just have been how practical her advice was. 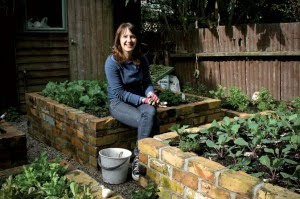 To write Organic Vegetable Gardening, Xanthe made use of her friends' neglected inner-city backyard. On the property she found a stash of old bricks, which she used to create four raised gardens. The book follows her year of gardening there, and provides practical tips on growing and caring for plants organically. For each plant she writes about, she includes information on preparing the soil, sowing and planting, companions, and care and harvesting. What amazes me is the fact that Xanthe was pregnant with her second child through much of the year. 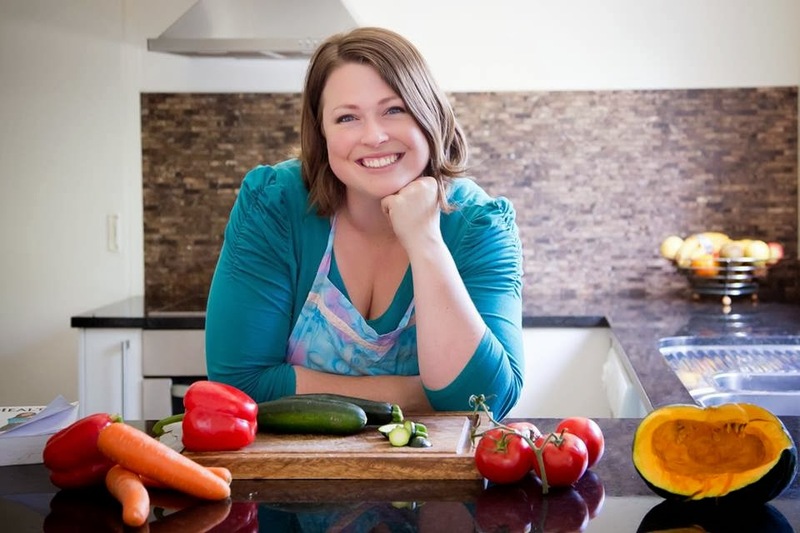 I couldn't face looking at one vegetable, let alone a whole garden of them when I was pregnant with Lily, yet Xanthe managed to not only garden, but to also write a book about it. I got so inspired by her story, I spent my summer vacation drawing garden plans and working out exactly where I was going to plant everything to make the most of companion planting benefits next spring. I'm looking forward to being further inspired by Xanthe when she speaks about her book at the Hamilton Garden Arts Festival on Saturday 27 February 2010 at 1pm. Admission is free, so come along if you're in the neighbourhood. Daltons (which produces gardening and landscaping products) commissioned Xanthe to design the gardens for its show garden in Matamata - The Plantation Gardens and Homestead. It's on my to-do list to visit this garden, and when I do I'll let you know what I think. I'm not sure if I could part with it for any length of time. But I could get you a copy as an early birthday present.